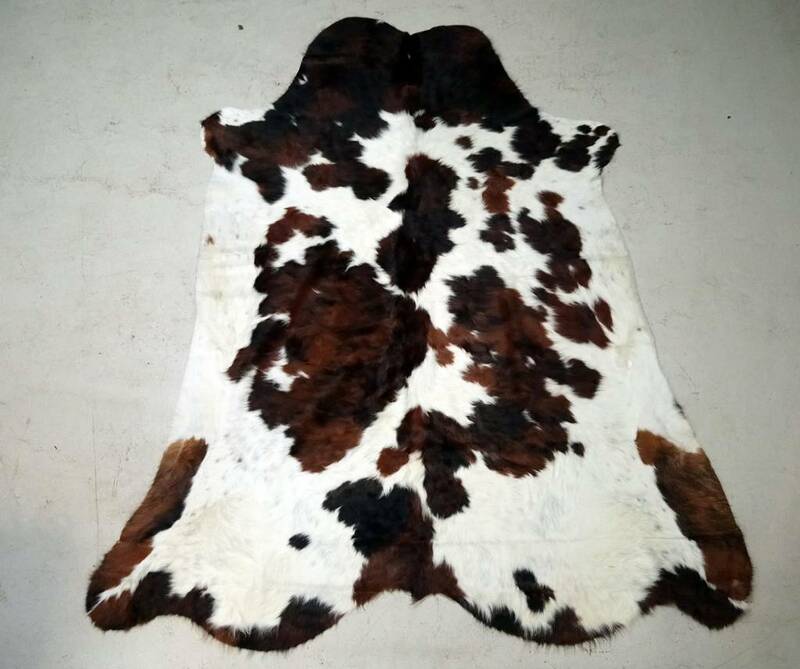 Brown + Black + White Spotted Cowhide with thick soft furn. 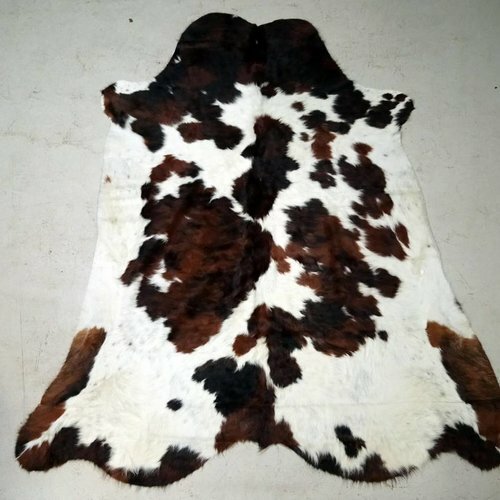 Tanned in Colombia, the hide you see is the hide you get. It measures approx. 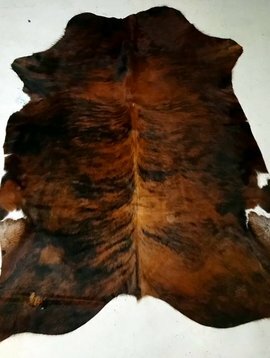 6'9" x 4'8", it's long and skinny. Ships for only $3. Scroll down for more info.